Question: I am working with a young, female client. She is a beginner with no history of resistance or cardiovascular training. Her goals are to "tone up" and "get ripped". We are three weeks into a fat loss resistance training program and she recently told me she is going to start taking a growth hormone supplement. What, if anything do you expect these do for her? She is in her prime as far as naturally producing growth hormones, correct? Are there any risks? Answer: My training philosophy is to do things the natural way. I want to get the best results possible without the use of growth hormone, steroids or other performance enhancing products. I don't say this to judge those who choose to use drugs, but I choose not to use them and the clients and athletes I train don't use them either. 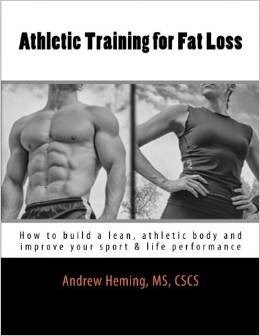 Therefore, when it comes to fat loss or any other goal, my goal is to figure out the best way to do it naturally. Your client is definitely correct in that growth hormone is very effective for fat loss. Many professional body builders use it for that very reason. If you choose to do it naturally, it can still be beneficial to try to increase the body's growth hormone levels in a safe way. There are several ways to do this including sleep (getting more sleep and more sleep before midnight), frequent eating and staying warm. Increase training volume: research on growth hormone seems to suggest that a higher volume of training (i.e. more sets) seems to increase growth hormone secretion. Note: be sure to gradually build up the volume and monitor for over training or joint/tendon/muscle overuse issues. The one thing that seems to be unclear is whether or not these changes result in a significant-enough increase in natural growth hormone secretion to make a difference for leanness. However, they are all good things to do, so even if they don’t significantly increase growth hormone, you don't lose out by doing them. The endocrine system is very fine-tuned. I have often given people the illustration of a giant control panel full of knobs and dials with each one set just perfectly. If you come along and drastically spike one level, the body often tries to re-gain hormonal balance by adjusting the levels of other hormones. Now, in all fairness, this seems to be more of an issue with steroids than with growth hormone, but based on my study of the endocrine system I still believe it is best to not mess with hormones. Because growth hormone is relatively new, there still is a lot to learn about long-term effects. Everyday person: "wow, what's your secrete?" Your client: "I used growth hormone and trained really, hard and ate well"
Ultimately, the choice is up to your client. However, I think you as a trainer should help her make an informed decision. I would encourage her to spend her money on healthy foods and training sessions with you.